I have been working with acrylic paint for about 15 years now and this has brought be to doing these larger size wall murals. 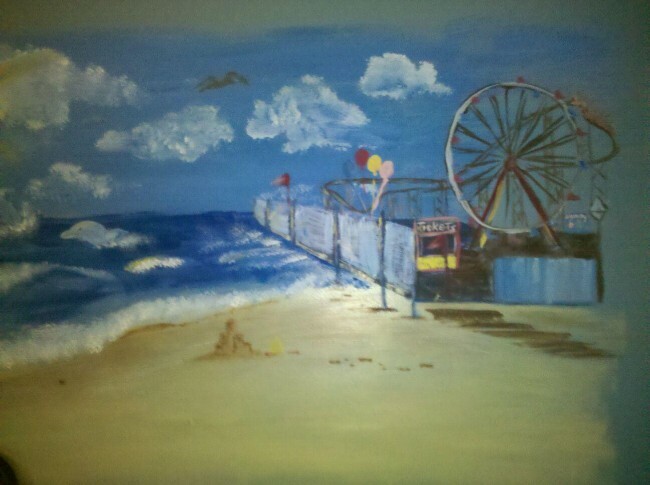 This one was designed by a six year old and painted by me on her wall, so it wouldn't take a long time to get to the beach. I usually charge by the piece for wall murals and they range from $50 and up this one would range about $150. It is about six feet by four feet in size. 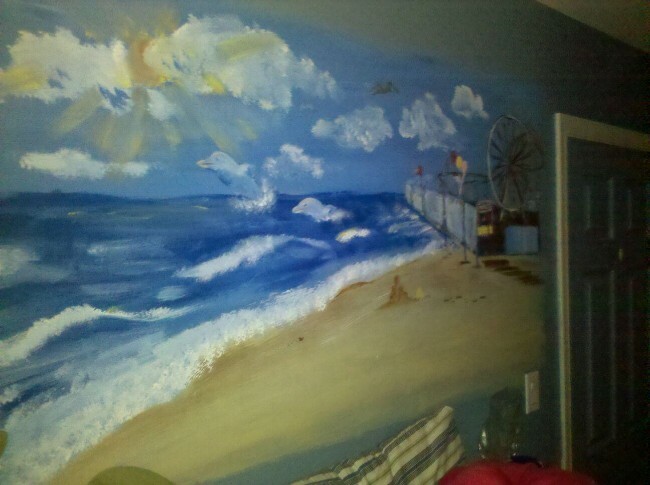 Please contact me using the contact us page if you are interested in having a mural done.